Since sharing our 2016 roadmap with you last month, we’ve been eager to introduce some of the improvements we’re making to the API integration experience for developers. For our current API customers, we want to streamline and enhance the API without requiring major changes that might interrupt their workflow. Meanwhile, we want to make it easier for new API customers to integrate Enom domains and services into their apps without having to learn the entire API catalogue back to front. To reach both of these audiences, we’re happy to announce the first detailed component of our 2016 roadmap: Enom’s new developer hub, coming in early June. We’re set to massively improve the developer experience with features like API tokens—which we’ll be introducing soon in another post—that will bring our API in line with more modern expectations. But we also know that the best product features are still only as good as our customers’ ability to use them. Providing developers with comprehensive information is key, yet we are long past the time when simply providing a monolithic PDF will be sufficient. It’s time to empower developers with practical tools for the present day. The first part of this change means offering cleaner, more robust documentation. We’re happy to announce that we’re implementing the ReadMe.io platform to do just that. ReadMe will offer API developers a collaborative support experience with an intuitive UI, drilling down to specific answers without wading through the entirety of our catalogue of API commands. Ultimately, we want to create a living, breathing document that adapts to the changing needs of the modern API developer. Aside from the documentation we provide, ReadMe.io supports collaboration among thriving developer communities used by major platforms like Mozilla, Box, and Yammer. While Enom’s dedicated customer and technical support teams are always ready to help, we also understand that sometimes, the quickest, most relevant advice will come from your peers. Whether you’re looking for detailed, step-by-step integration help, or want a succinct, self-service approach, the new developer hub will be a source for the best of both worlds. We aren’t just stopping at documentation, though. Contemporary development involves much more prototyping and “playing around” than it used to. Integrating with our API is no different. The second piece of our developer hub update will use Postman, a platform that offers a safe environment to explore and test our APIs. Postman saves developers the worry by offering a secure sandbox to identify and preempt any potential snags before implementing the API on a live system. 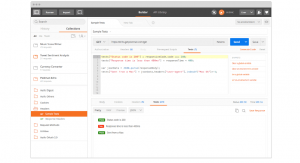 Development teams from companies like Microsoft, Cisco, Verizon, and eBay use Postman to collaborate and share collections, document their process, and ultimately deliver stable APIs. We think this will be an invaluable tool for both new and existing API developers on the Enom platform as we roll out rest of the changes on our roadmap this year. We understand that the developer experience and the customer experience are not one in the same. Throughout the year, we’re going to focus on turning that belief into concrete features to modernize the process of integration for API developers. An effective, flexible documentation and testing solution is absolutely necessary to make that happen, which is why we’re so excited to be introducing this API developer hub to you. Keep an eye out for these changes in early June along with the introduction to API tokens. So, you’ve registered a domain. You could always build a website or set up a custom email address with it, but let’s say you’re not quite ready to use it this way. One of the easiest things to do with domains is “redirect” them. But what if you could just say “(Your name) dot com” and have it go straight to your Facebook page. Wouldn’t that be cool? It’s easy to think of a website and domain as one in the same, but that isn’t always the case. True, when you type in “www.google.com” you’re always going to go to Google’s search page, but if they really wanted to, Google could point “www.google.com” at any other page they wanted. The same thing is the case when you register a domain. Don’t think of the domain as your house, think of it as the signpost that directs people to your house. Once you own that signpost, you can point, or “redirect” it to different websites. So yes, it is possible to point your domain to your Facebook page. Better yet, if you ever get tired of Facebook, you can change it to lead people to something else. You might point a domain to your LinkedIn account or online resume. Maybe you have a small business you’d like to start promoting. 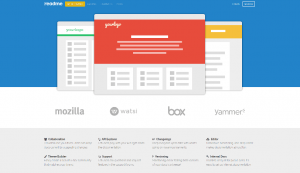 Domains aren’t locked into any one site, you’re free to change them whenever you want. Now, you may have tried registering (your name).com and found that it was already taken, especially if you’re just going by your first name. Fortunately, there are now many more ways to end your domain than dot com (called top-level domains, or domain extensions). Try (your name).SOCIAL, (your name).ROCKS, (your name).NEWS, (your name).GURU, (your name).SITE, (your name).WORKS, or any one of hundreds of other possibilities. You can get started by searching for any domain you want, we’ll even list several different domain extensions if the one you want isn’t available. So, you want to point your domain somewhere else, now what? The beauty of redirecting domains is how quick and easy it is to do. Just sign in to your account and go to “My Dashboard.” Find the “Manage Domains” link and go to that. Click on the domain you would like to redirect, and go to “Host Options” on the next page. In the first two fields (www and @), change the Record Type to “URL Redirect” and type in the address you’d like to point to in the next box. Hit save, and the domain should be redirecting to the new address shortly. As easy as redirecting can be, it never hurts to ask for help, that’s why we offer several ways to get it. You can go to our Help Center, to search for answers, get instant answers from the Help tab you should see on the right side of our homepage, or call us at (425)-274-4500.